Anchorage, Alaska - FBI agents investigating Alaska Senator Ted Stevens in a criminal corruption probe, are examining whether federal funds he steered towards the Seward SeaLife Center were to benefit his longtime business partner Trevor McCabe and possibly the senator himself. The SeaLife Center has received over $50 million in federal money since 1998 due to Stevens. 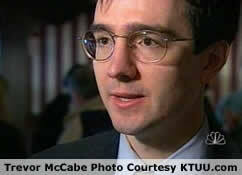 McCabe, was paid $558,000 of that money in a 2005 earmark for an adjacent piece of land. The land is a vacant lot in Seward that formerly housed a dilapidated structure known as the "Arcade building". According to an article by John Stanton, of the Capitol Hill newspaper Roll Call, the investigation is focused on how those millions in federal funds earmarked for the SeaLife Center, were used and how the $558,000 made it to McCabe. Marcia Blaszak, Alaska Regional Director for the National Park Service, declined to comment Monday on the specifics of the multi-agency inquiry, citing the fact that it is an "ongoing federal investigation." However, Blaszak did say staff from her office have been cooperating with investigators from DOI's Office of Inspector General. "A number of our employees have been contacted" by DOI's IG, Blaszak said. A Justice Department spokesman declined to comment on the investigation. At issue is a 2005 earmark for the SeaLife Center, a marine wildlife research center and tourist attraction. The center - which according to published reports has received more than $50 million in federal funding since it opened in 1998 and has long been a pet project of Stevens' - was given a $1.6 million earmark in 2005 to purchase an adjacent property that was owned at the time by McCabe. Initially, McCabe had sought to sell the property to the NPS as part of a massive office construction project the service had planned for Seward. But negotiations for the building collapsed in 2005, according to an April 2006 story by the Anchorage Daily News. The shift in funding turned out to be controversial in the small community. Former City Manager Clark Corbridge warned in a letter to the center in 2006 that the city should be allowed to approve the purchase so as to avoid "future problems and possible allegations of impropriety," according to the Daily News article. Corbridge did not return calls for comment. The center went forward with the plan and purchased the property from McCabe's company, the Centennial Group, for $558,000. Additionally, at the time McCabe was a business partner with Stevens' son, Ben, in a consulting firm that has come under scrutiny from federal investigators in a separate investigation. During the time of the sale, McCabe also had reached a separate agreement with the center to operate boat tours for the facility through Alaska Outfitters, a second company owned by Stevens. According to sources close to the investigation, federal investigators have focused on how the decision to purchase the property was made, as well as other potentially problematic earmarks in the past. These sources, who spoke on the condition of anonymity, said that in addition to the interviews with NPS employees, investigators also have interviewed a number of other individuals connected to the center and the sale. A spokesman for the center did not return calls for comment. Seward Mayor Vanta Shafer and McCabe also could not be reached for comment. The investigation into the SeaLife Center is the first known instance in which federal investigators are directly probing actions taken by Stevens in his official capacity as a U.S. Senator. Although a Stevens spokesman declined to comment on the investigation, Stevens has acknowledged that federal investigators are looking into the involvement of executives from the VECO oil company in a construction project he had done to his home in Girdwood. Ben Stevens, a former state Senator, and McCabe also are under investigation for their connections to VECO, as is Young. Additionally, federal investigators in December issued subpoenas to fishing industry executives in Washington state, Washington D.C., and Alaska as part of a related corruption probe. Separately, the Senate Homeland Security and Governmental Affairs Subcommittee on Federal Financial Management, Government Information, Federal Services and International Security has contacted officials with the National Archives and Records Administration regarding a set of earmarks to NARA that financially benefited two of Stevens' business partners, Senate aides and federal officials said. Aides on the subcommittee met with NARA officials Friday as part of their inquiry into the agency's purchase of a property in Anchorage from two of Stevens' business partners, Jonathan Rubini and Leonard Hyde. Bette Phelan, a spokeswoman for subcommittee Chairman Tom Carper (D-Del. ), confirmed the meeting and said committee aides were reviewing documents provided to the panel by NARA. "Staff asked for this briefing because NARA, as a federal agency, falls under its jurisdiction, the jurisdiction of the Senate Subcommittee on Financial Management, Government Information, Federal Services and International Security," Phelan said. NARA spokeswoman Susan Cooper said Rick Judson, who is overseeing the project, along with members of NARA's Congressional affairs office, met with staff July 27 to brief "them on the history of the Alaska purchase." Cooper said Judson "reiterated that Sen. Stevens had nothing to do with the purchase" and discussed the purchase price of the property. Hyde and Rubini sold a small parcel of land in Anchorage to NARA in 2004 for $3.5 million, more than double the amount the two land developers had paid for the property a year before. NARA purchased the property using funding earmarked for the project by Stevens. The two real estate magnates partnered with Stevens from 1997 and 2005 on a series of land deals in Alaska, which helped turn Stevens from one of the chamber's poorest Members into a millionaire. Stevens' office has defended the earmarks and has said he had no role in the selection of the site. Copyright 2007 (c) Roll Call Inc. All rights reserved.